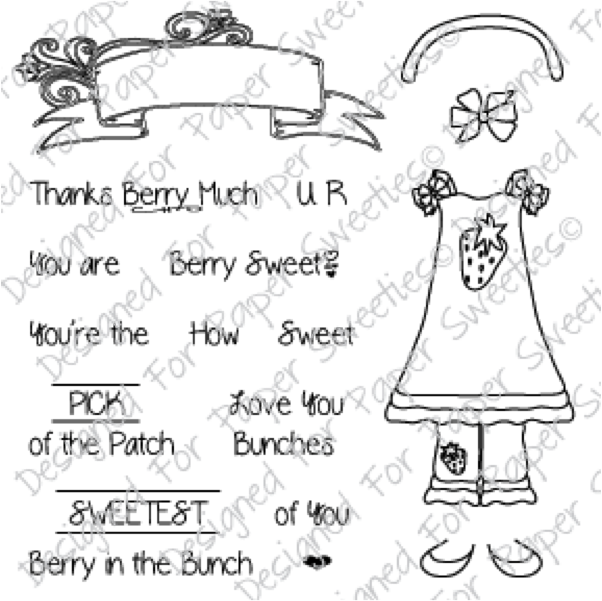 A sweet strawberry theme set containing a pinafore and bloomers outfit, ballet slippers, headband and hair bow! 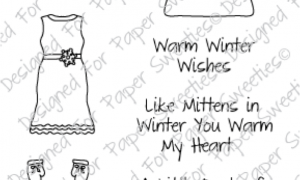 This set also contains a frame with flowers and flourishes, tiny solid heart image and eleven sentiments to coordinate with the Sweeties’ outfit. Use to create adorable summer party invitations, treats, gifts and more!